We think and work like you because we’ve been in your position. For a decade and a half, we have had the privilege of holding executive management positions in the beauty and fashion business. Using our connections, experience and deep understanding of the unique roles you hire for, we can quickly identify the right fit candidate for your organization. "I love inspiring people to think bigger about themselves and bringing smart solutions to the table for my clients"
Lara is a well-known leader in the fashion industry with more than 15 years of entrepreneurial, marketing and event experience. She has grown her own businesses and has driven growth and desirability for dozens of fashion brands and products. In 2003, Lara founded the THREAD Show, a dynamic pop-up shopping event, supporting new fashion brands in launching their lines. The event appeared in multiple cities across the US and UK for just under a decade. Soon after, Lara joined UBM Fashion and held various Show Director positions culminating as their Vice President of Strategic Sales for the Mens and Womens fashion trade shows. Lara now lives in Santa Monica with her husband and two children. Her free time is spent shopping for furniture on Chairish, dinners on Abbot Kinney and sampling every coffee shop she passes. 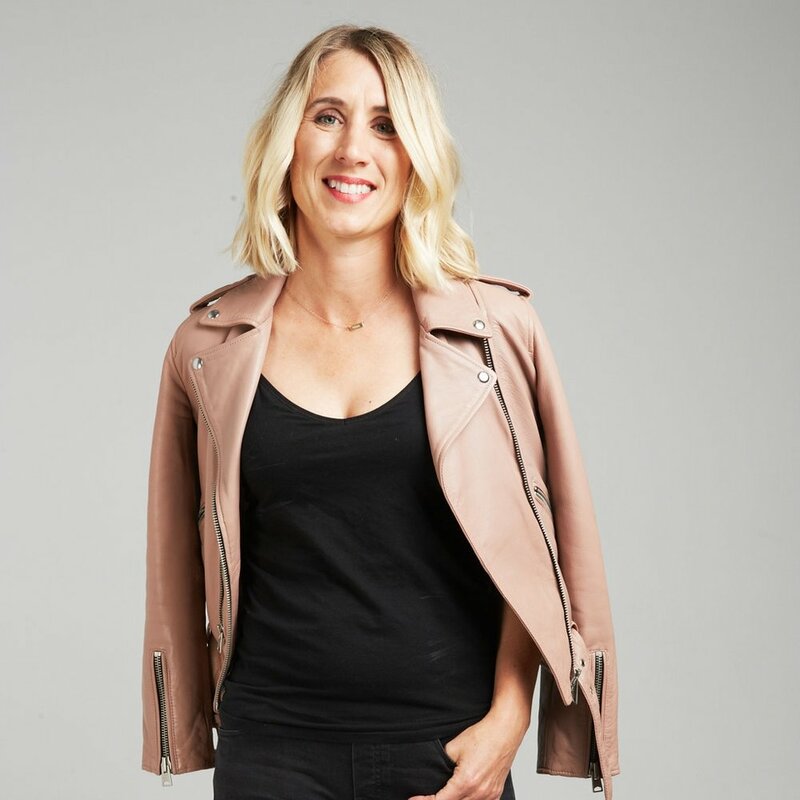 With more than fifteen years experience working with top fashion brands, Jamie has earned a reputation as a highly regarded and respected fashion recruiter. Jamie started her career in New York, working as a marketing executive in the entertainment industry. After braving the winters for seven years, she moved back home to sunny Los Angeles and parlayed her marketing experience into a successful career in recruiting. For almost two decades, Jamie has consulted with globally recognized fashion, beauty, technology, and e-commerce companies to find and place the best talent at all levels. From filling specific roles like Senior Executives to staffing entire departments, she’s built a much deserved reputation for not only knowing everyone in the industry, but helping them feel fulfilled and succeed in their careers. Jamie lives in Santa Monica with her husband, two children and two pups. They spend a great deal of time on the soccer fields and listening to her daughter sing on the front porch. She starts her day with a 5:30 am workout on the beach, shopping on-line, and eating out. Jamie enjoys entertaining and opening up her house as the neighborhood hangout spot. Melissa Anderson is a highly regarded fashion industry executive and coach. With more than 19 years experience in sales strategy, product performance, and revenue generation, Melissa has a proven track record of identifying key areas of business development and financial growth opportunities for multi-million-dollar scalability. Specializing in organizational development and business leadership, she has driven globally recognized fashion businesses including J. Crew, BCBGMaxAzria, True Religion, BLK DNM, WGSN Trend Forecasting, as well as TOMS Shoes and Onzie Flow. Using her industry knowledge, best practices and her experience as a high-level sales leader in 2016 Melissa launched Box the Outside, a leadership coaching consultancy helping companies, of all sizes work better together. Melissa has partnered with Clear Cut Agency to offer a 360-degree approach to brand success through executive, business and leadership coaching and key talent identification. With a creative background in home decor, Emily has 5 years experience recruiting in the fashion industry, from luxury ecommerce retailer SSENSE to start ups. With placements across all levels and company functions, her passion lies in building long lasting relationships and helping people find their dream job. Originally from Paris France, her life and career took her to Australia, the United States and Canada. She now lives in Montreal with her husband, where you will find her hosting her friends, building her vinyl collection, and refinishing furniture. Her experience has given her the opportunity to see first-hand the inner workings of manufacturing, marketing and selling a fashion apparel brand. She has established many great relationships in the industry over the years and is excited to create more. Mackenzie was born in Florida but currently lives in Culver City. She spends most of her free time outside hiking, snowboarding or riding her bike in Venice.